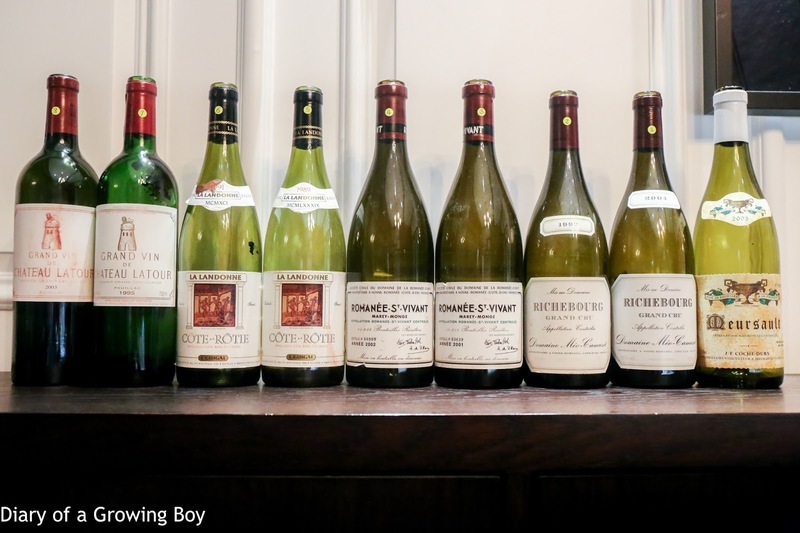 MNSC dinner hosted by Curry Jayer at the American Club. 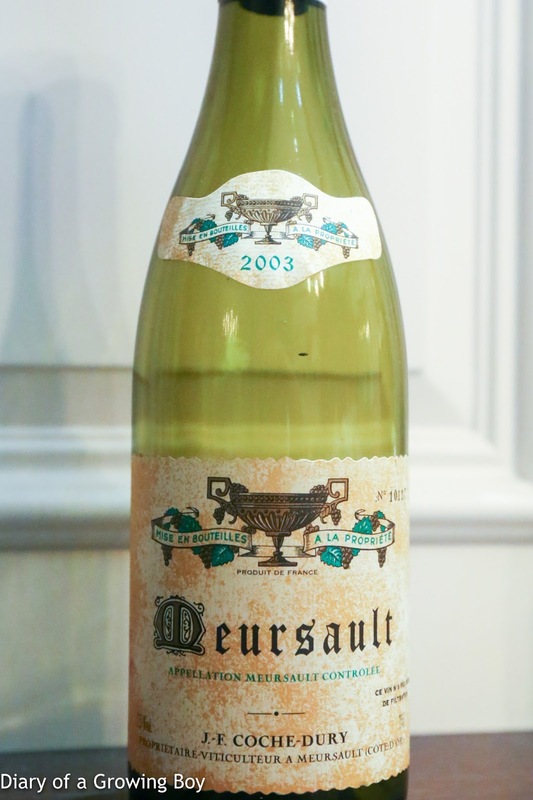 2003 Coche-Dury Meursault - lovely, toasty nose, with good ripeness, a little sweet grass. Medium palate. A little later showed some butter on the nose. 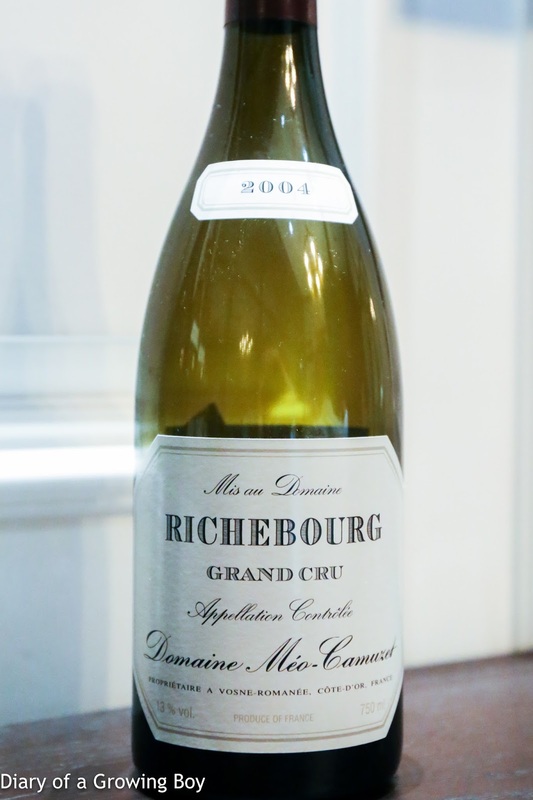 2004 Méo-Camuzet Richebourg - opened 5 hours without decanting prior to serving. Very sweet nose, a little floral on the palate, dry on the palate, with a little iron... and a little soapy. 96 points. 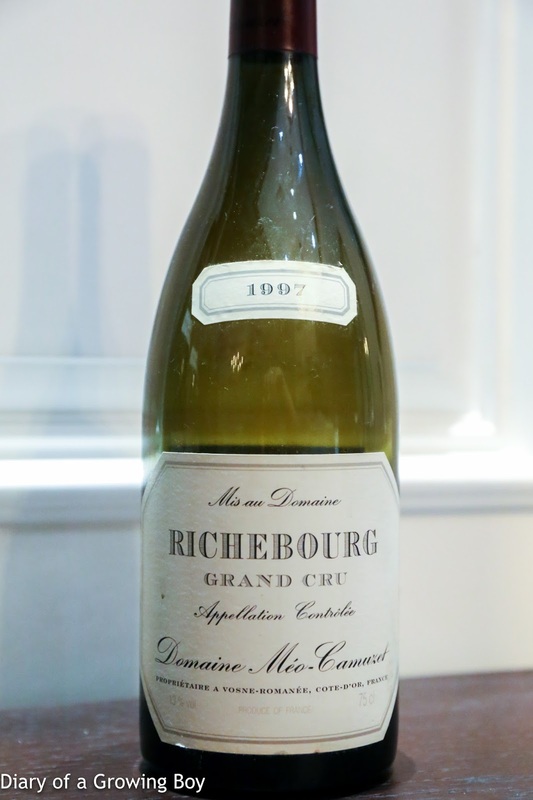 1997 Méo-Camuzet Richebourg - opened 2½ hours without decanting prior to serving. A little more intense than the 2004, with animal notes. A little dry on the palate. 93 points. 2nd pair: opened 5 hours without decanting prior to serving. 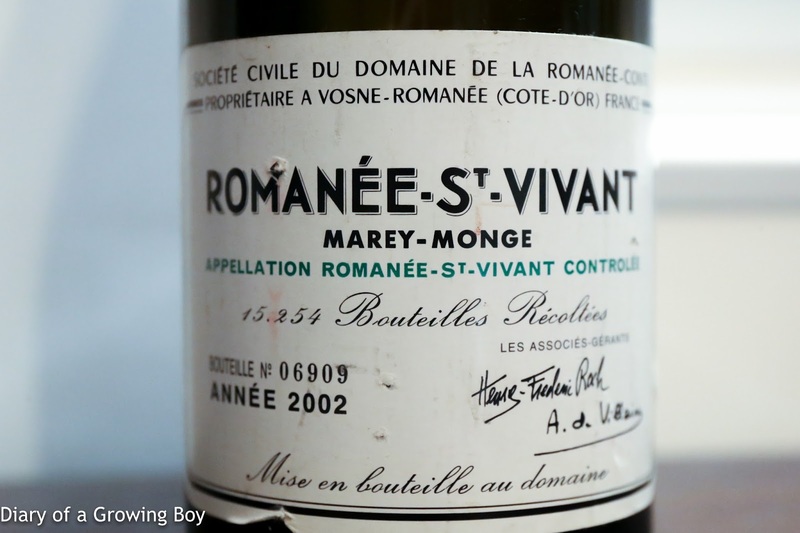 2001 DRC Romanée-Saint-Vivant - served chilled. Elegant nose, very dry on the palate, with leather, smoked meats, and stemmy nose. 93 points. 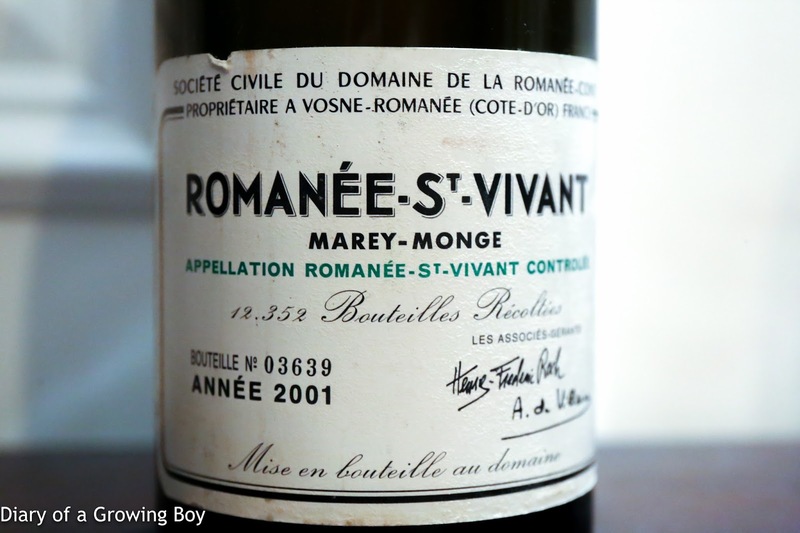 2002 DRC Romanée-Saint-Vivant - more fruit, dry and slightly savory palate, a little floral. 95 points. 3rd pair: opened 3½ hours and decanted 2½ hours prior to serving. 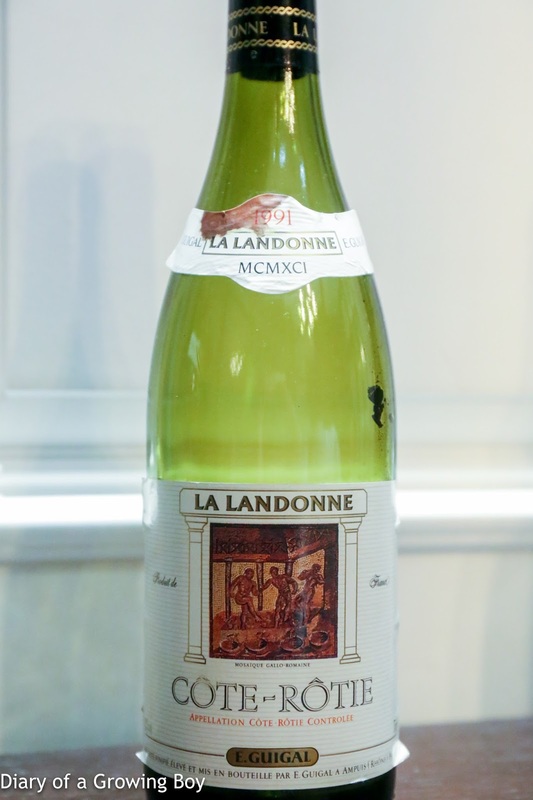 1989 Guigal La Landonne - more alcoholic, lean, smoky. Second pour showed sweeter nose with vanilla notes. 95 points. 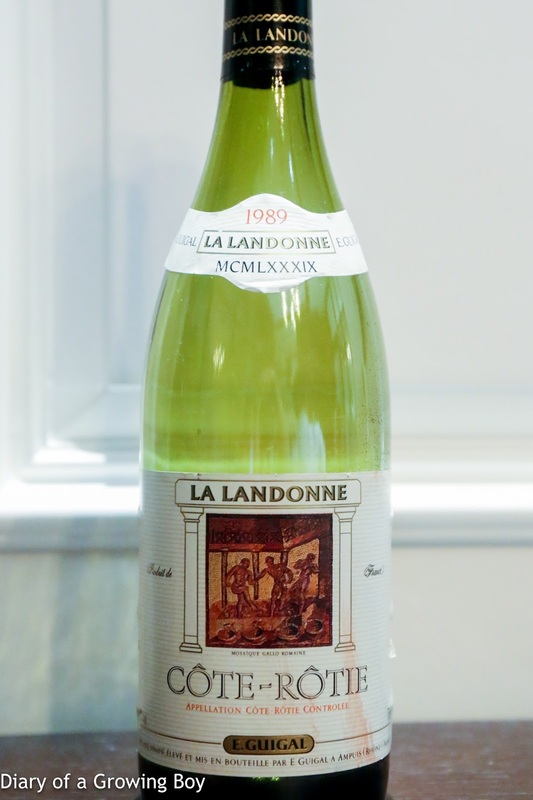 1991 Guigal La Landonne - more fruit than the '89, very meaty. Full bodied and tannic. 93 points. 4th pair: opened 4½ hours and decanted 3½ hours prior to serving. 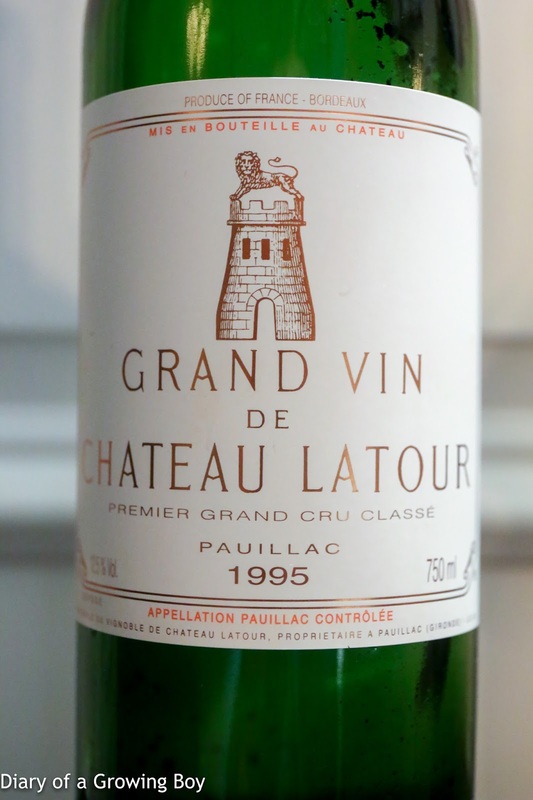 1995 Latour, ex-château - smoky, minty, grassy, a little green pepper. Good tannins. Second pour showed much more fruit and mint, with pencil lead. 97 points. 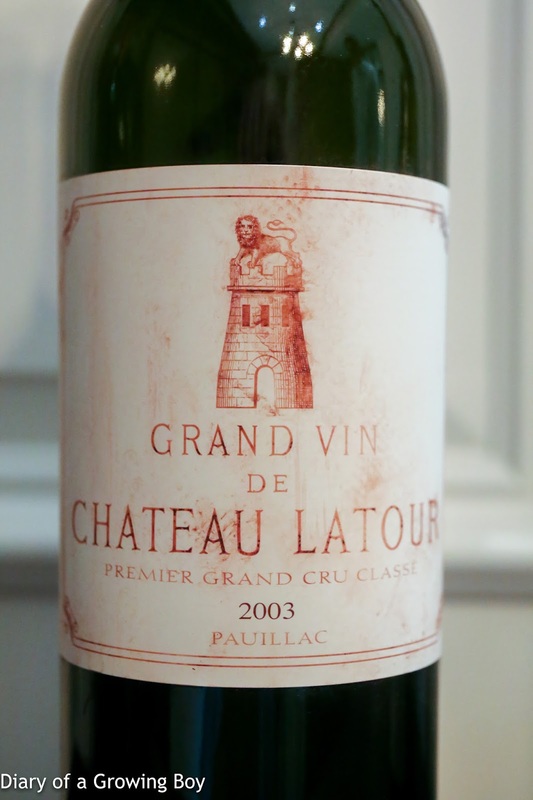 2003 Latour, ex-château - sweet fruit, coffee, smoky, meaty, also a little grassy. Second pour showed less coffee. 98 points.